The STEALTH STRAIGHT AC cord has been in development for the major part of the year 2013, and went into production late in 2014. 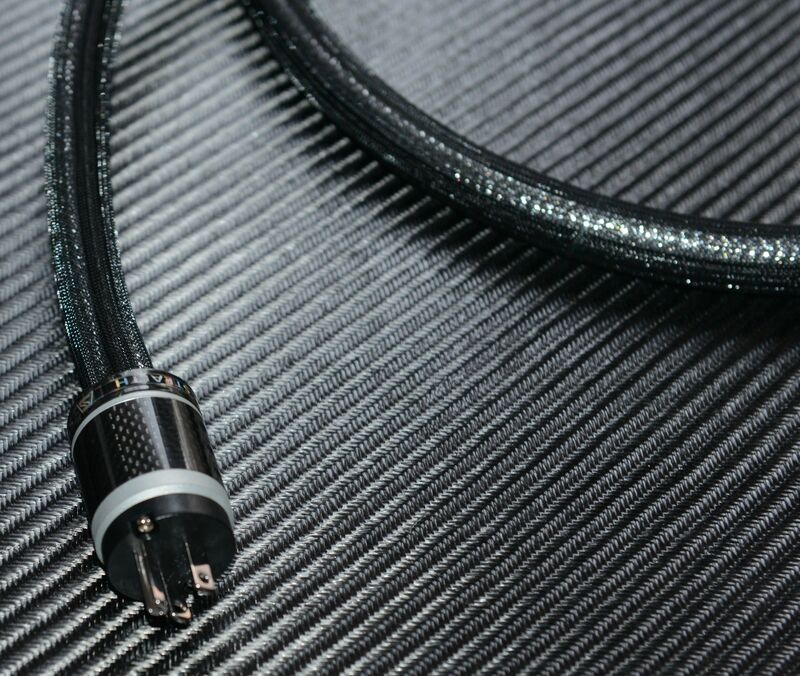 This cord features unusual for STEALTH cords straight - i.e. not spiral arrangement of conductors, hence the name. The conductors are braided (very flexible, but sturdy), double-insulated, spaced (extra internal distance between the conductors) and hollow (this type of conductors features greatly reduced inductance, compare to the conventional round conductors). Such configuration offers a combination of low capacitance, combined with low inductance (which is especially important for he ground run), for the absolute minimal reactive interaction with the AC signal form (which perfectly suits the name of the cord); subjectively, the STRAIGHT cord offers perceived "speed" surpassed only by our pure silver, Helium-filled Cloude 99 - but the tonality is subjectively "warmer" and more balanced, i.e. closer to the Dream V12 than to the Cloude 99. STANDARD: Carbon fiber shells and machined aluminum fronts and strain reliefs. PREMIUM (extra cost) : STEALTH V10 IEC with solid silver contacts, and STEALTH V10 USA or Schuko plugs with solid silver contacts.